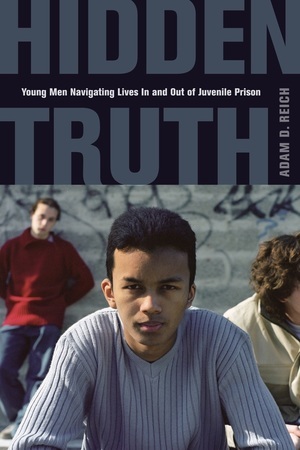 Hidden Truth takes the reader inside a Rhode Island juvenile prison to explore broader questions of how poor, disenfranchised young men come to terms with masculinity and identity. Adam D. Reich, who worked with inmates to produce a newspaper, writes vividly and memorably about the young men he came to know, and in the process extends theories of masculinity, crime, and social reproduction into a provocative new paradigm. Reich suggests that young men's participation in crime constitutes a game through which they achieve “outsider masculinity.” Once in prison these same youths are forced to reconcile their criminal practices with a new game and new “insider masculinity” enforced by guards and administrators. Adam D. Reich is a doctoral student at the University of California, Berkeley.